The robots used at the Fukushima nuclear power plant in Japan are failing due to the high levels of radiation. The meltdown was triggered during the earthquake and tsunami of 2011. It's too much even for these specially hardened scorpion bots, as seen in the following video. I'd designed the androids myself, plotted out the pile locations, set up the simplified reactors. And now it was making money. For men to work in a uranium plant you need yards of shielding, triple-checking, long cooling-off periods for some of the hotter products. 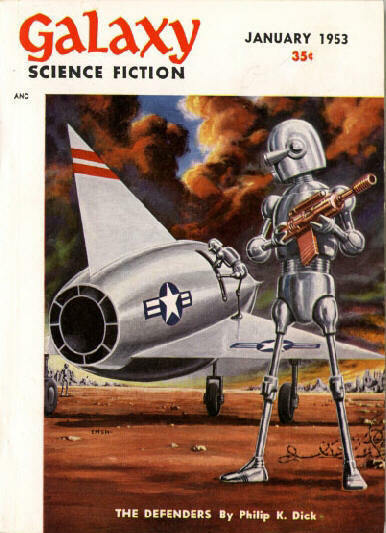 But with lead-bodied, radio-remote controlled androids, it's easier. 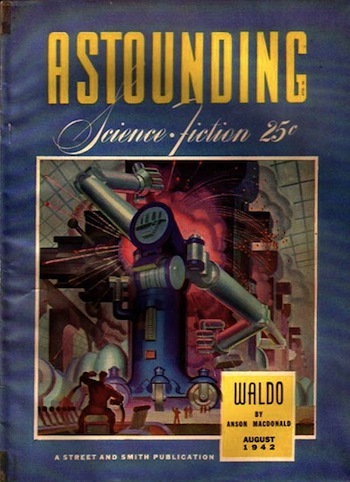 As so often happens, I have to give sf Grandmaster Robert Heinlein his due and mention the waldo from his 1942 novella of the same name (using his pseudonym Anson MacDonald). The country's nascent nuclear industry liked the idea, and actually created similar devices to deal with nuclear material - they liked the name, too.